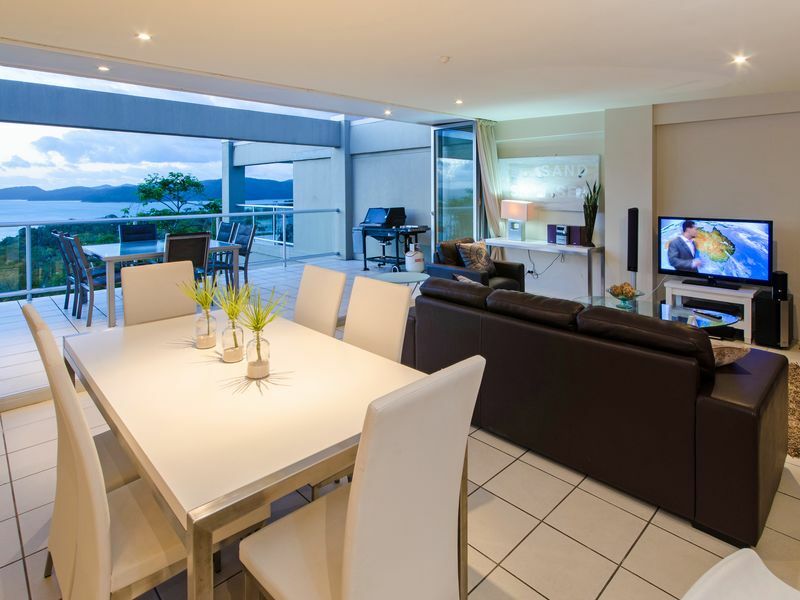 Click on the tabs to read more about this accommodation or view seasonal rates and make an enquiry. 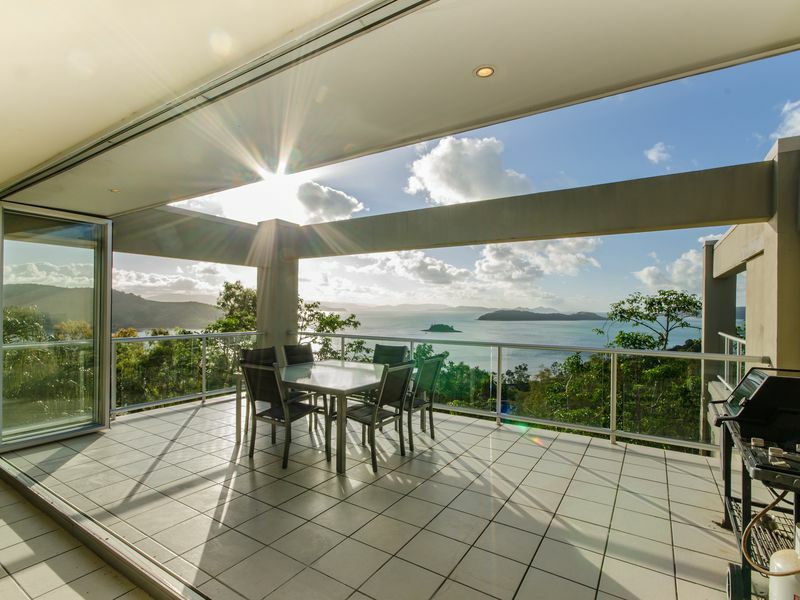 These Hamilton Island Hilltop Villas are 4 spectacular 3 bedroom apartments that are a luxury villa style property with a contemporary design and modern furniture and amenities. 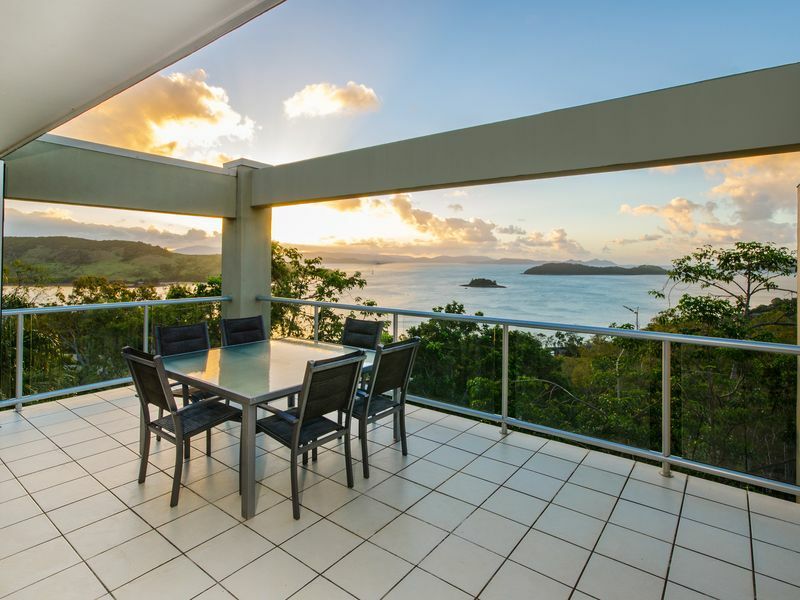 These villas are located on the center peak with spectacular westward ocean views only minutes from Hamilton Island Harbour, Front Street, One Tree Hill, and the main resort. 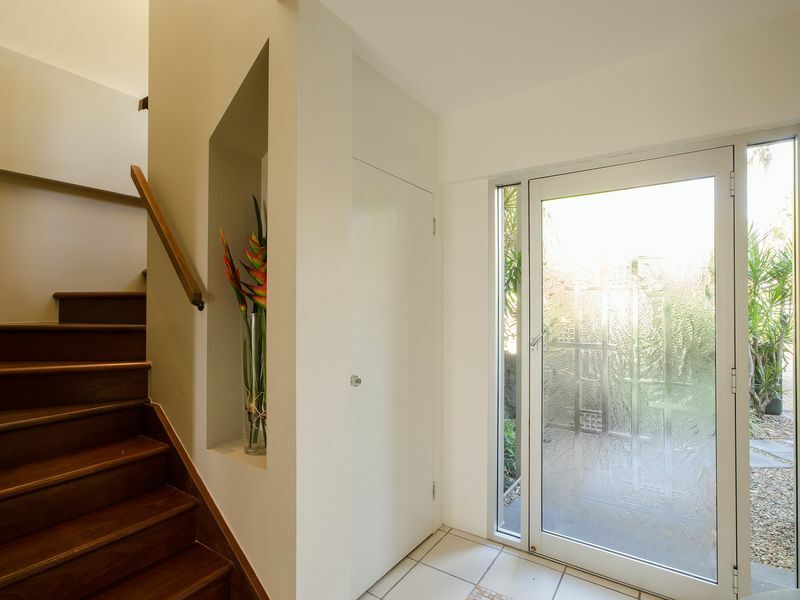 They are split level with all bedrooms downstairs and the large living area on the top level. 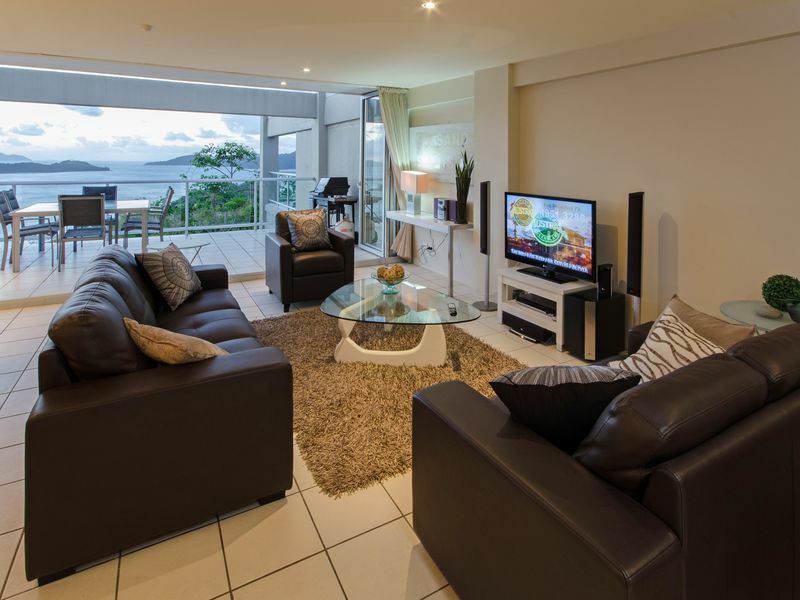 Furnished with a 42″ large Plasma TV and home theatre package, plus DVD, and a CD stereo (iPod compatible). 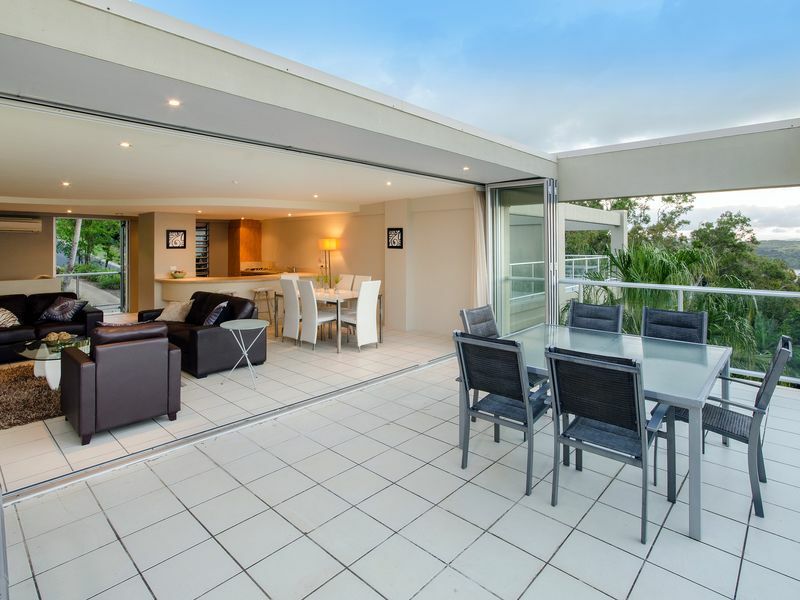 Balcony doors fold away opening the full width of the living room creating a spacious balcony. 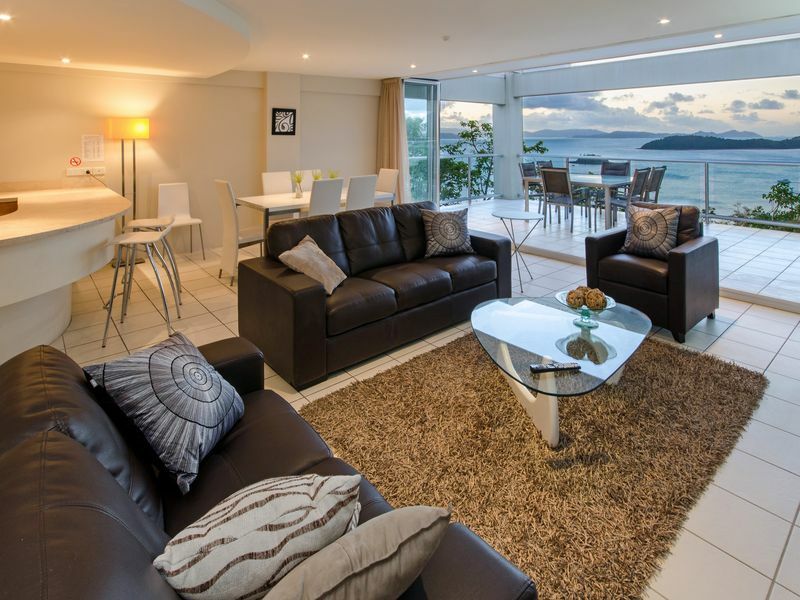 You will enjoy the evening spectacular sunsets over Dent Passage and the Whitsunday islands. 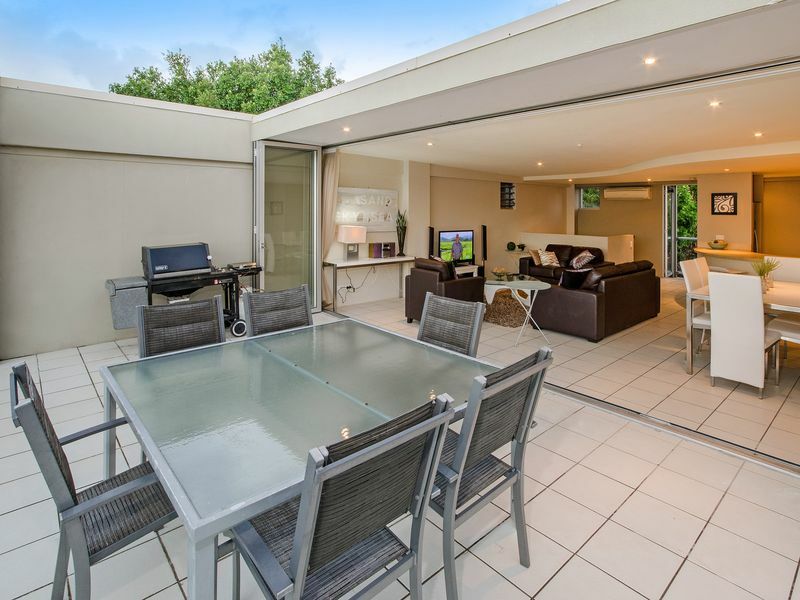 The balcony has an outdoor setting and a BBQ. 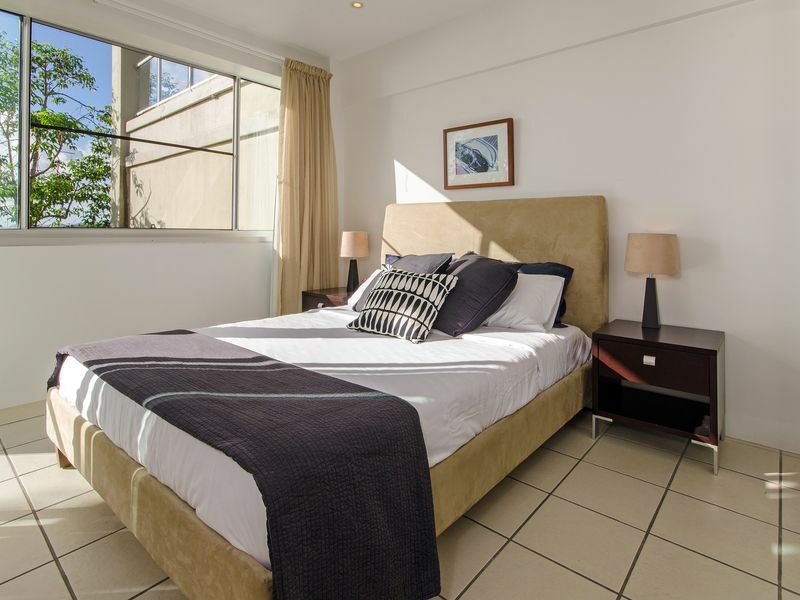 Master Bedroom – is appointed with a split/king size bed. Thus giving you the choice of a king size bed, or two king singles. 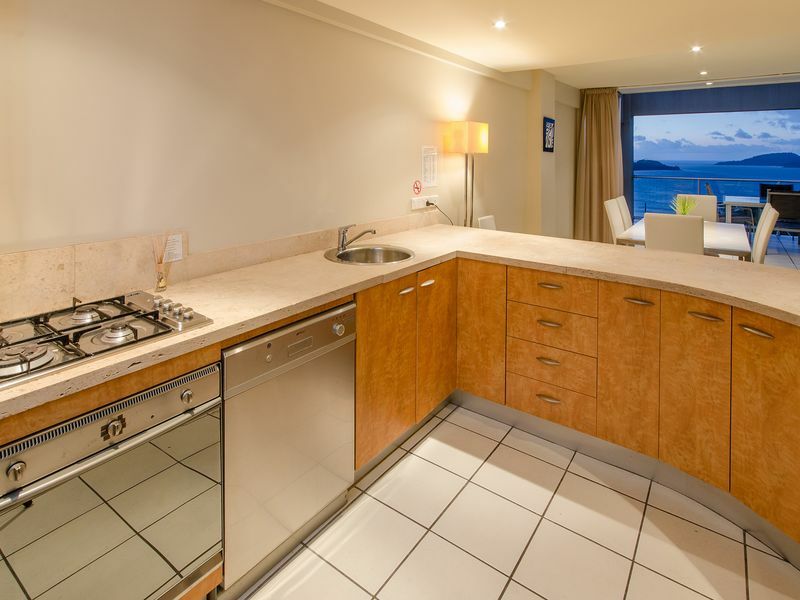 You will also enjoy a generous built-in-robe with mirrored doors, DVD & LCD TV and an ensuite. 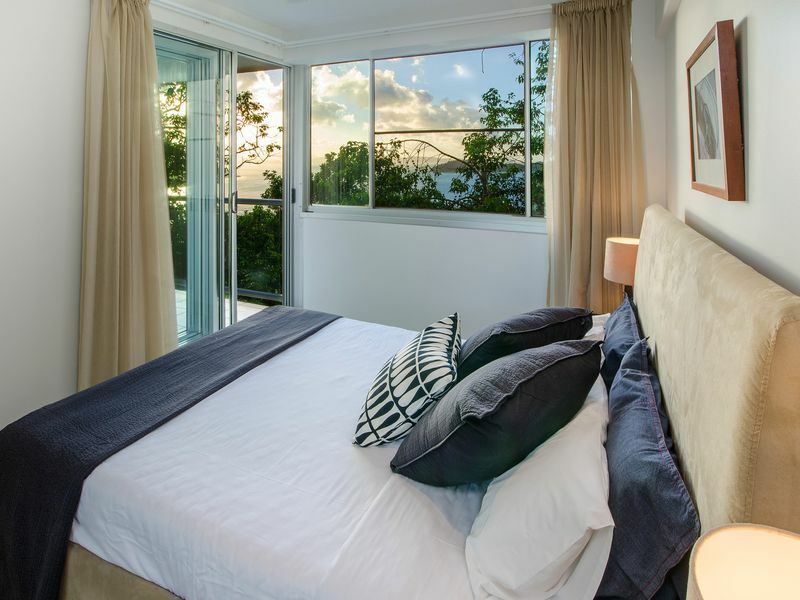 The master bedroom also opens up to a balcony with more relaxing island views. 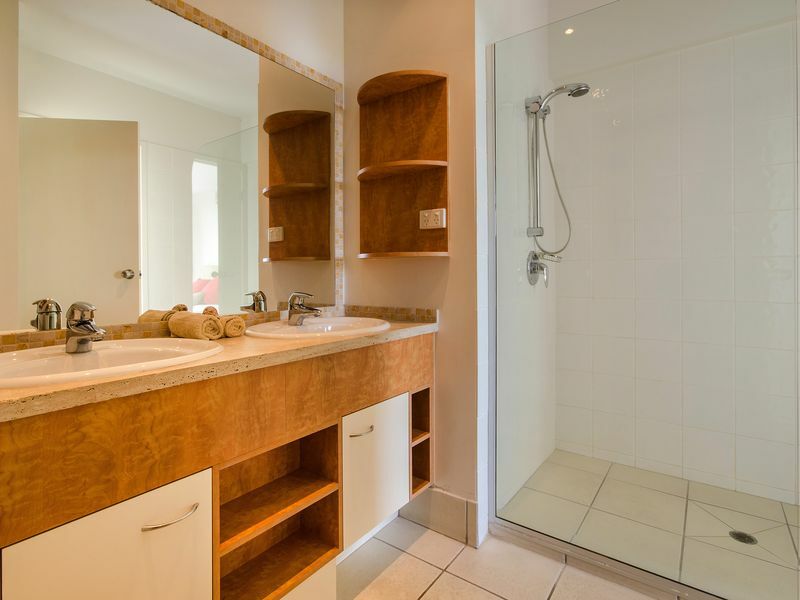 The Second Bedroom – split/king bed, giving you the same options and opens out onto the master bedroom balcony and a built in robe with mirrored doors. 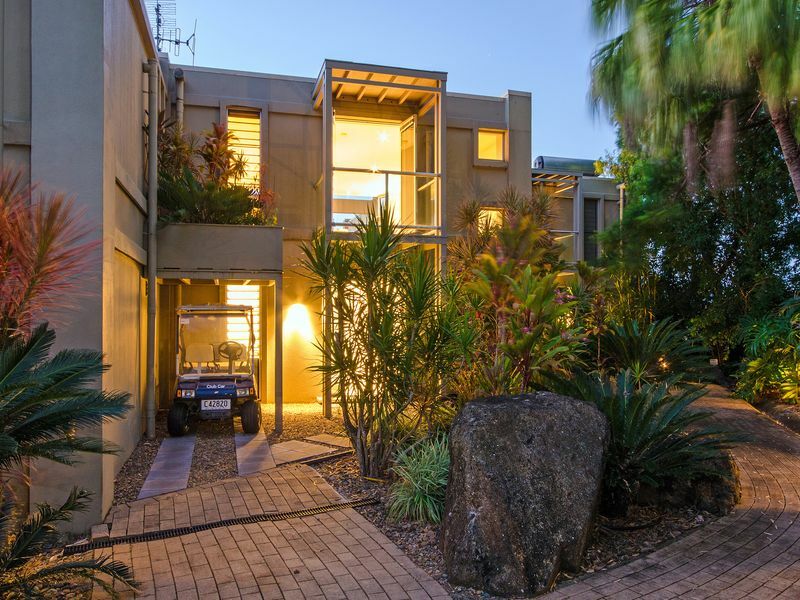 The Buggy – you will have the exclusive use of an electric 4 seater complimentary buggy.